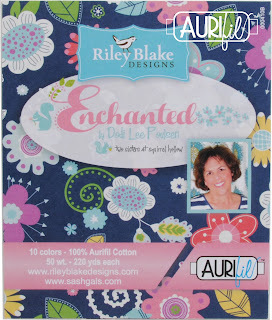 SASH Gals: Beautiful Aurifil! AND a Giveaway! 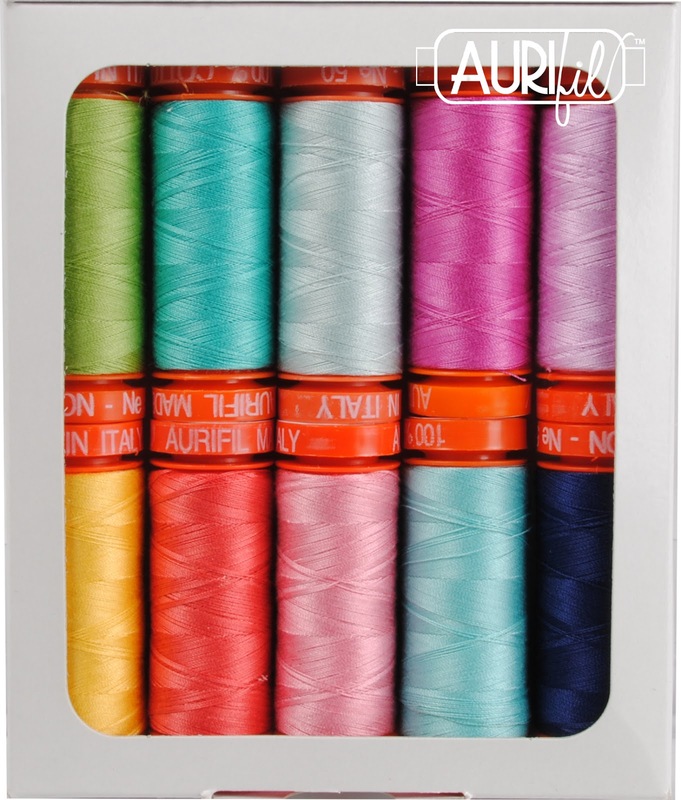 Beautiful Aurifil! AND a Giveaway! I love Aurifil threads. They are 100% cotton, made in Italy, and you can get them from 12wt to 80wt! And the colors are so beautiful. AND HERE'S THE EXCITING THING! new fabric line coming out, Enchanted! Look at those gorgeous colors!!! And we are going to give away a small collection to one lucky winner!!!! 1. Leave a comment here after this blog post. All entries must be received by Saturday, January 14th, Midnight, PST. We'll announce the winner on Monday, January 16th, 2017. Thank you for the opportunity! Such a beautiful thread set! I've heard great things about this thread! I would love to try it out! You're so talented - these colors are so gorgeous! I opened my first spool of aurifil thread last month and quickly fell in love with this thread. Your color pallet is right might my alley with lots of brights. Thanks for a chance to win these beauties. The colors are bright and happy! thank you for the giveaway! Love the colors of your fabric collection and the coordinating thread! We all love fabric but we also need and want thread. 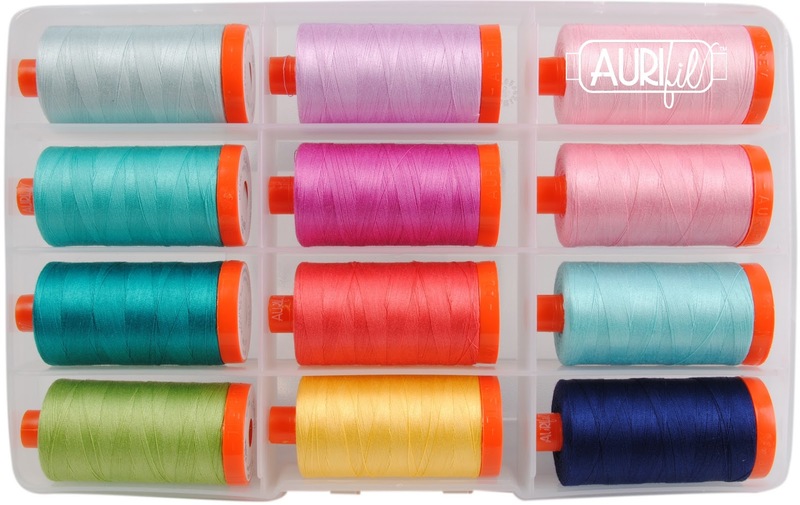 What a beautiful collection of Aurifil thread! Must have both in my quilting life. Thank you for the chance to win. Wow, those are really great colors! Such beautiful thread, thank you for the chance to win! I would love to add these colors to my growing collection. Lovely fabric and wonderful thread! Thanks for the chance to win. Nice "Spring" colors! Great collection of thread and fabric. 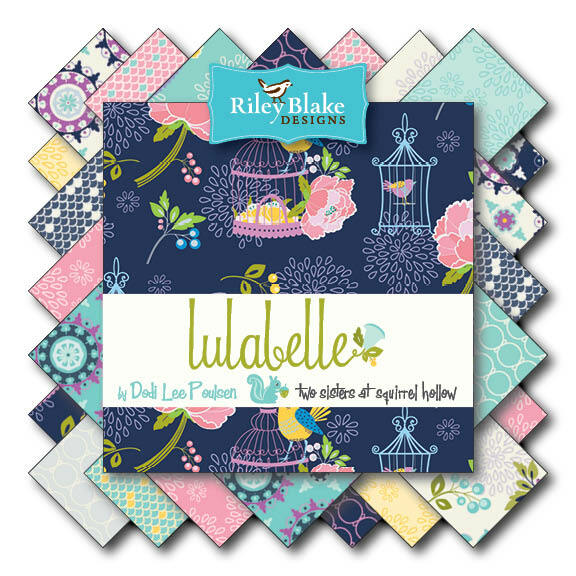 Your fabric and thread collection is beautiful! Love those colors! See you next month on the cruise. 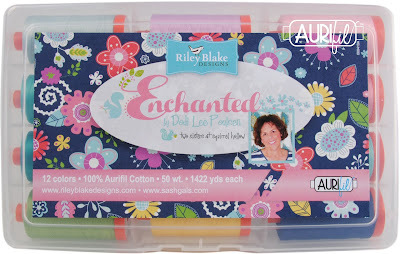 I love Aurifil threads and your new Enchanted fabric collection is beautiful. I believe I met you years ago as I think we have a mutual friend, Sue Kitchel. I live in Bremerton. We do have a mutual friend!! Beautiful colors--I love Aurifil threads! I love Enchanted. The thread matches it beautifully. The colors are so vibrant. Great job Dodi. 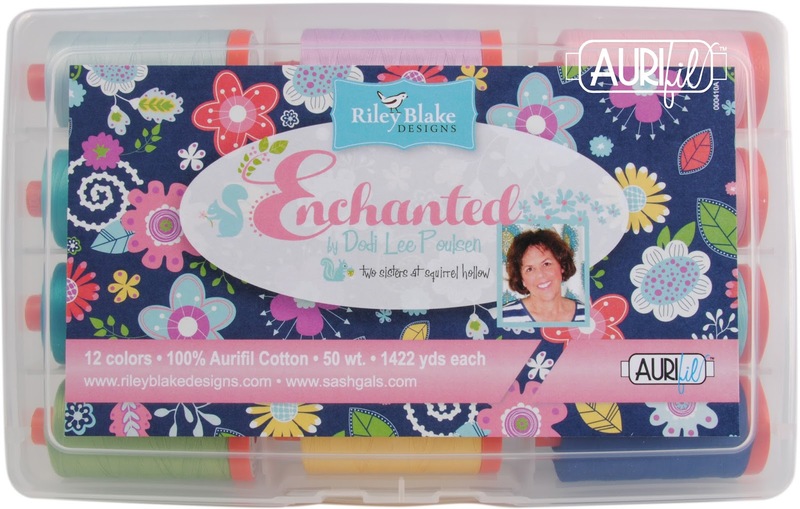 I love Aurifil threads! 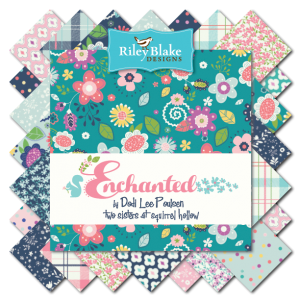 Your fabric is gorgeous and the thread is such a fun mix of colors. I love working with Aurifil threads. Congratulations for your new yummiest fabric line and threads. Love your fabric and thread colors! Thanks for the chance to win! 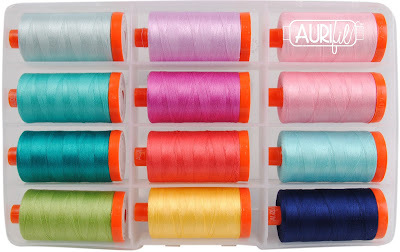 I have been drooling over all the colors of Aurifil thread! 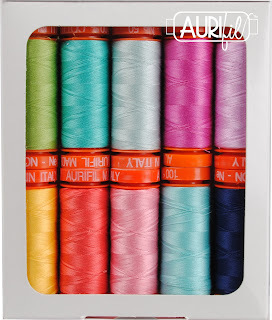 Aurifil thread is the best. Your love of God shines through your colors and prints...just amazing. Congrats. I love the colors you chose. Can't wait to find them in stores. A few popular and trust worthy brands that quilters can choose from are Coats and Clark, Guterman that is popular for its ease of use and strength especially for hand quilting, the Madeira rayon thread, which is good for embroidery on leather or denim, and Mettler, which offers several different fibers.